Jr dragster engines and jr dragster engine parts. jr dragster billet rods and pistons. a full line of arc crank shafts. 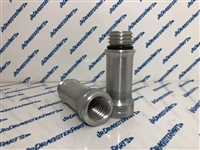 Jr dragster oil fill plugs, available in blue, purple, black, aluminum, and red. 2" oil fill plug sold with O-ring. 1" oil fill plug sold with O-ring. Long oil fill plug sold with O-ring. 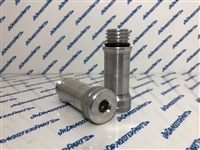 Fill plug extension tube to extend your fill plug up higher! Sold with O-ring. 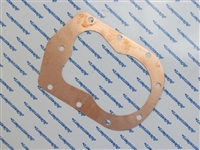 Head gasket for and super rhino motor. Rhino exhaust pipe with flange welded on. For those who don't use an exhaust manifold. 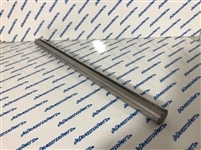 ARC billet 7/8" stock rods. With this Evac System you have no more use for a catch can! This Evac is mounted to the head of the motor and runs oil right back into the block, releasing crank case pressure. With this special design, you can use your rags for something more useful than wrapping them around your air filter. That's right, NO BLOW BY!!! 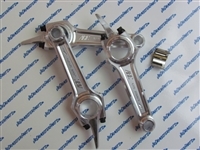 ARC billet 1" x .590" Stroker rods. 4.220 is a 1" x .5913". Isky cam shafts for rhino engines, all with 104 intake center line. Blossom super rhino 2 bore sizes from 3.140 to 3.550. Comes with fully built carburetor, intake manifold, and header. Call for details, specs, and options.